Today is the five year anniversary of Trayvon Martin’s murder. Please consider reading the book his parents have written: Rest in Power. “Why had a man spent two days on a mission to tell the entire world that I was a journalism-destroying fascist? Because I deleted his comment on my personal Facebook page. “If your goal is to get people to see our humanity, why is it wrong for us to act human? Best for: Humans of earth. Seriously, this woman was a national treasure. In a nutshell: Celebrity shares memories of her youth, her mental illness, and her substance abuse. Why I chose it: I’m working my way through Ms. Fisher’s catalogue this year. I think at this point most of us are familiar with how witty and honest Ms. Fisher is. In this, the first of her three non-fiction works, she tells entertaining stories that also manage to be insightful and blunt without feeling preachy. Yes, she uses sarcasm, which isn’t for everyone, but I enjoy it when it’s deployed with this level of skill. I recently watched the HBO documentary about Ms. Fisher and her mother Debbie Reynolds, so some of these stories were familiar. But it didn’t matter, because the stories were still great. Ms. Fisher has an ability to share what are objectively challenging moments with a self-awareness I aspire to. Best for: Anyone who likes a well-told story. In a nutshell: Young girl growing up in Iran in the 70s and 80s. Why I chose it: A friend and I were discussing books and I shared how much I enjoyed the March graphic novels. She lent me this one, and I’m very glad she did. Review: I’d heard of this book before, and it met the expectations I’d built up. I’ve now read a couple of books set in this time in Iran, and I have to say I am still a bit confused (and annoyed that my education didn’t cover this, either – seriously, what did I learn in school?!). Side note, the New Yorker has a list of six essential books about Iran, so these are going on my TBR pile. Ms. Satrapi is a great storyteller, evoking strong emotions while telling this story of growing up in Iran as the government changed hands multiple times. I appreciated the honesty of a child forming such strong beliefs and then having to reconcile them as the government changes. She also shares her experience of such traumas as having loved ones arrested and neighbors killed in bombing in a way that feels both childlike and mature. This is the fourth graphic novel I’ve read this year, and I think that I finally get that, just like literally every other genre, there are good ones and bad ones. I think the first couple I read just weren’t good fits with my interests, but I almost let that keep me from looking at other ones. 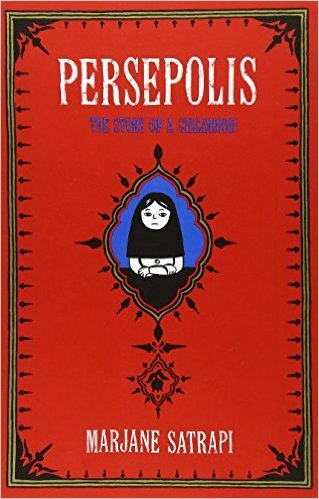 Thankfully, with the March series, and now with Persepolis, I can say that I’ve moved past my unnecessary mental block that has kept me from this world in the past. Best for: Someone looking for a quick, wit-filled read. 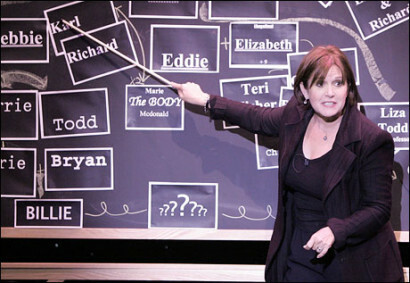 In a nutshell: Film actress Suzanne enters rehab, leaves rehab, attempts to figure out her next move. Why I chose it: After Ms. Fisher died in December, I realized I’d never read any of her writing. I ordered all her books and decided to start at the beginning. Review: This book isn’t exactly what I thought it would be, as my familiarity comes from the movie. I’ve not seen it, but I had the impression that the book would focus on the relationship between the main character and her mother. That’s not the case. But the book it actually is was fun to read. It’s broken up into a few sections, starting with a back-and-forth of two characters, one of whom is consuming a whole lot of drugs. Ms. Fisher can write from different perspectives and make each feel equally real. I almost wish the rest of the book played out in the same way, but I understand why she made a different choice. The main character is interesting and self-aware. Ms. Fisher somehow makes a woman with addiction issues who is also a famous and successful-enough actress that she doesn’t have to stress about working relatable. The description of drug use in the beginning was intense, and given Ms. Fisher’s life experience I’m guessing it’s accurate. One thing that I enjoyed in this book is that as I’m writing this review, I can’t come up with more of a plot summary than the little nutshell I provided above. It feels unfinished, but it still left me satisfied. I didn’t think was possible in a book, but here we are.